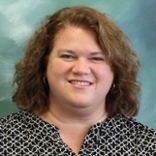 Dr. Bess German, Assistant Dean, has worked at the Honors College since 1997. She has a BA in psychology from Kalamazoo College, a master’s degree in college student affairs from Bowling Green State University, and a PhD in higher education from Michigan State University. Bess coordinates recruiting and admissions for incoming first year students; handles selection for and maintenance of HC scholarships awarded to new students; leads the student affairs staff in the College; serves as a diversity coordinator for the HC; and advises several HC student groups including H-STAR, MOSAIC, and the Mowbray Scholars Program.